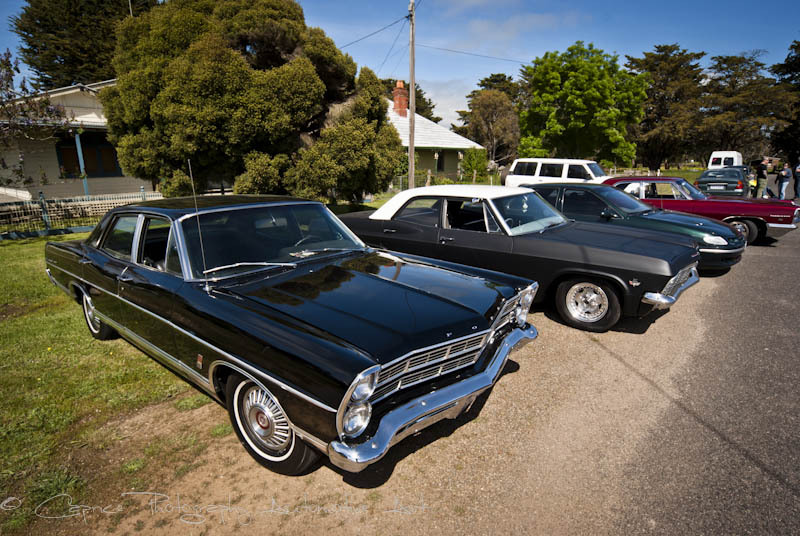 If you’re looking at these pics and reading the heading thinking “where the hell is Meredith”!? 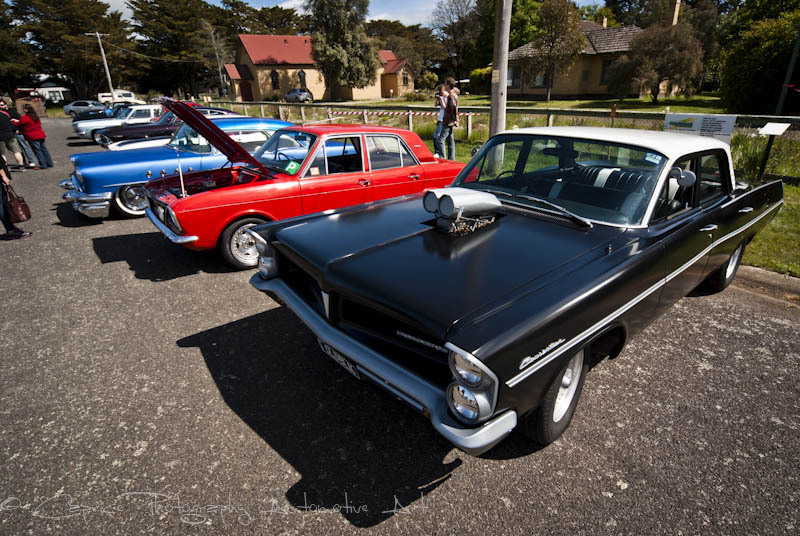 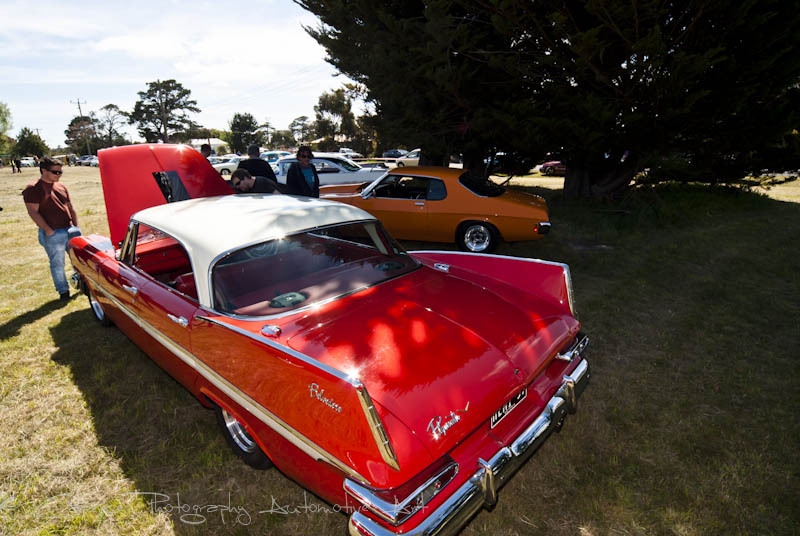 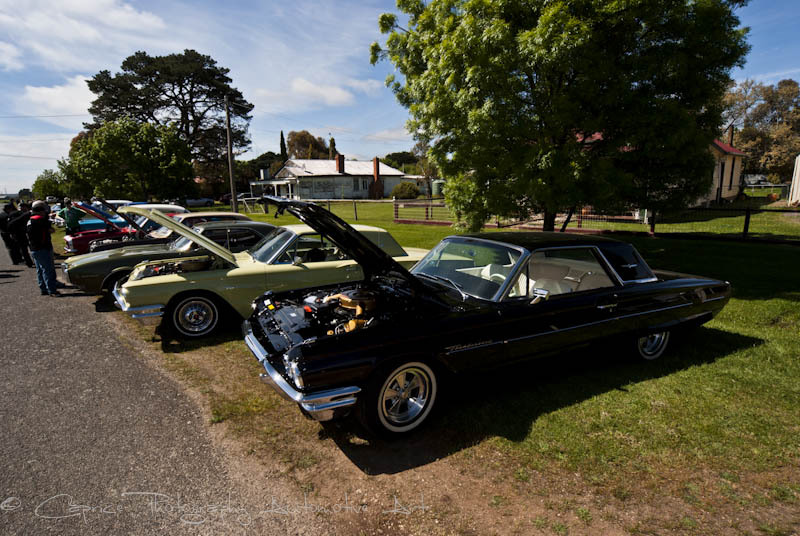 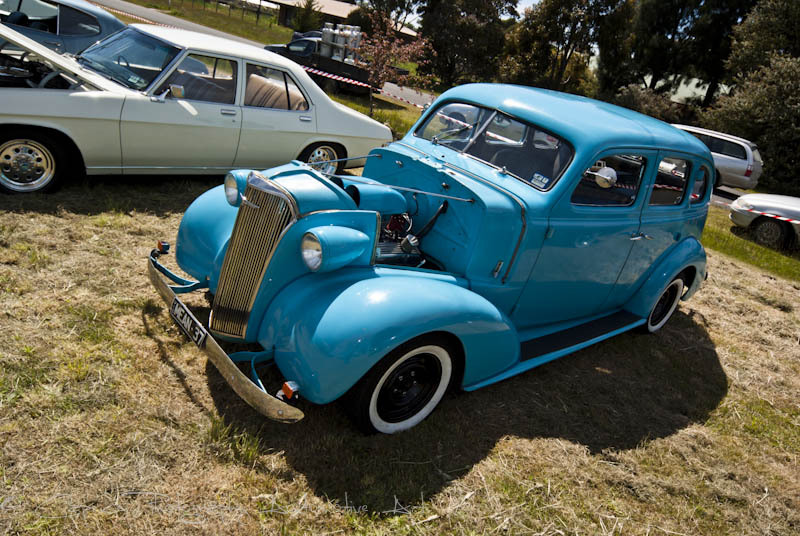 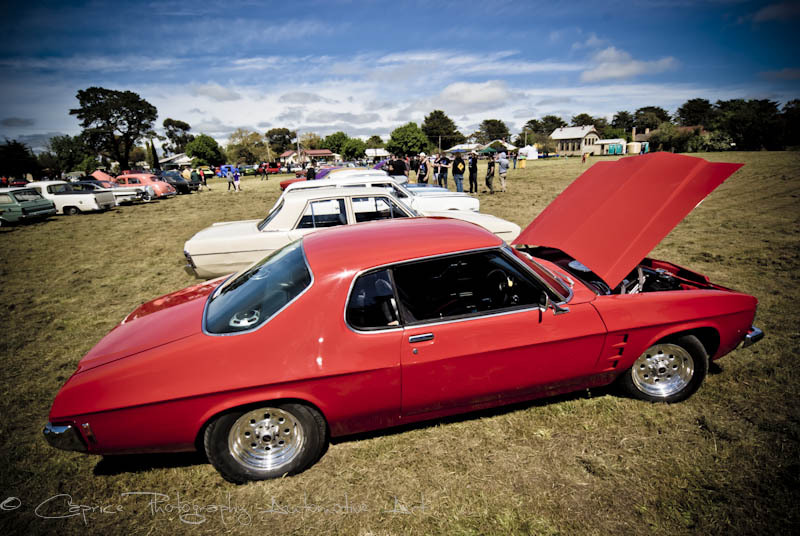 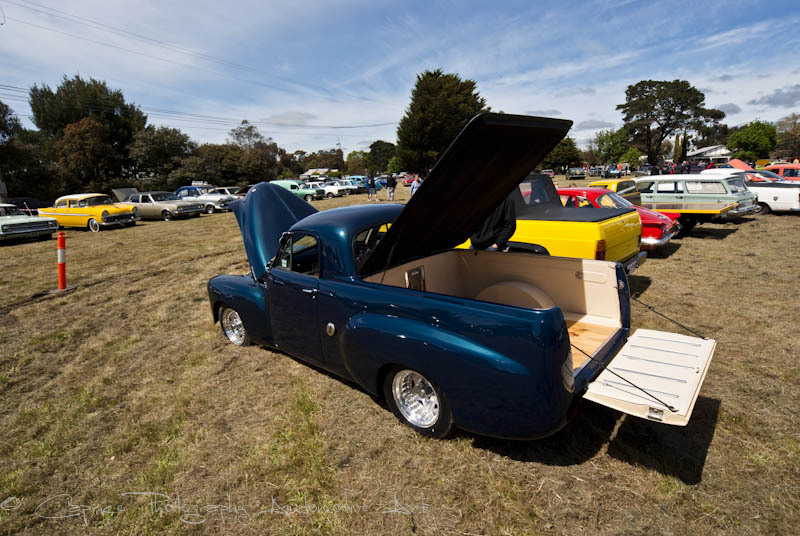 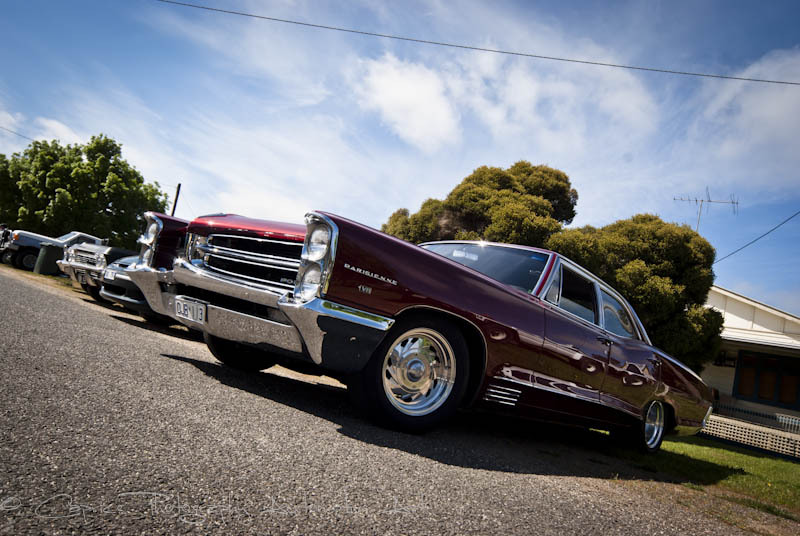 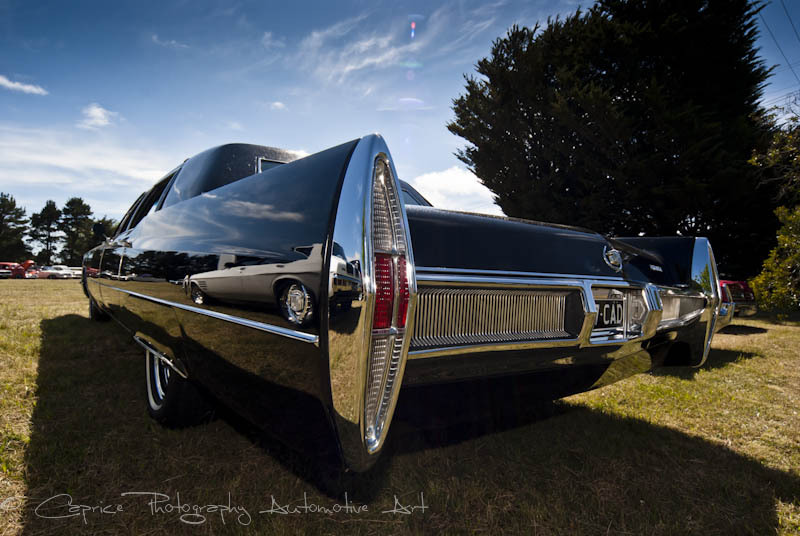 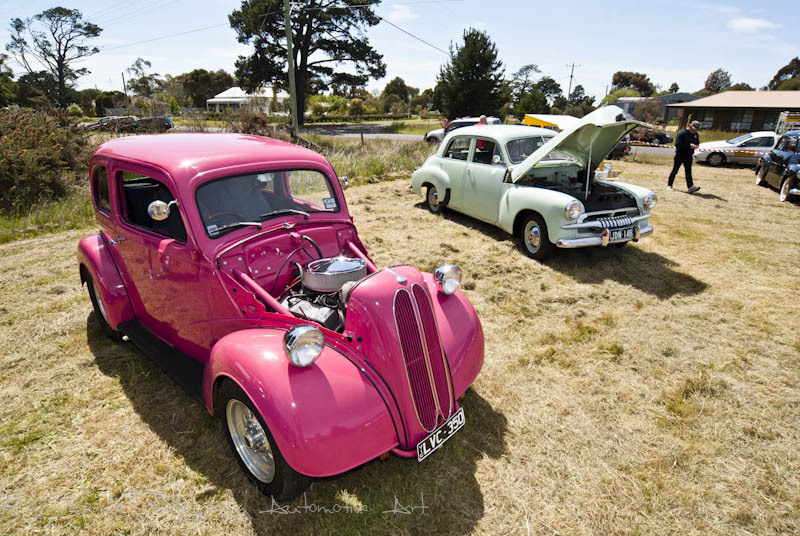 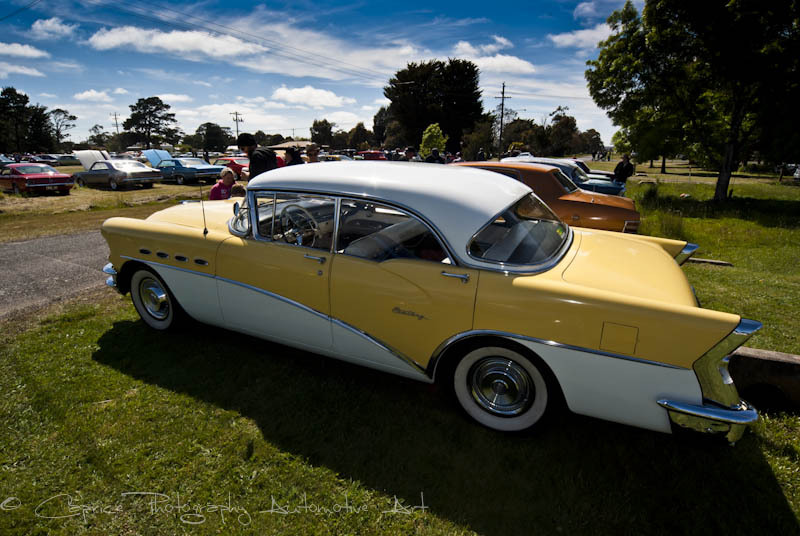 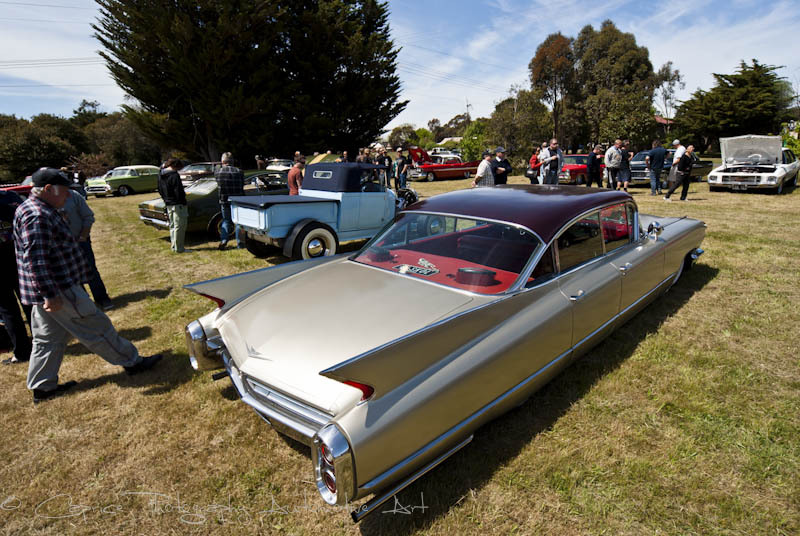 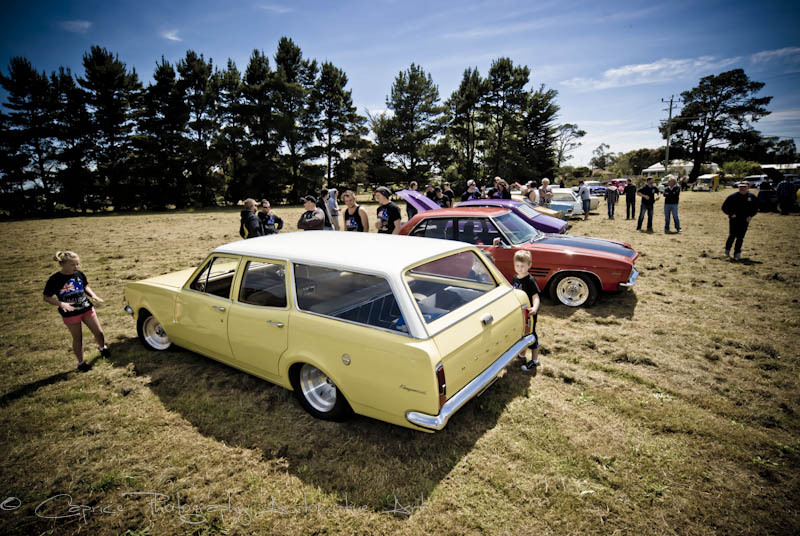 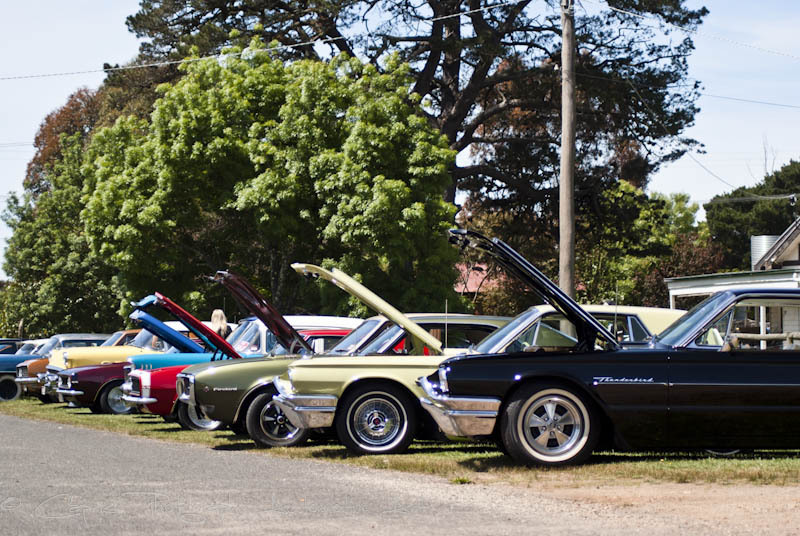 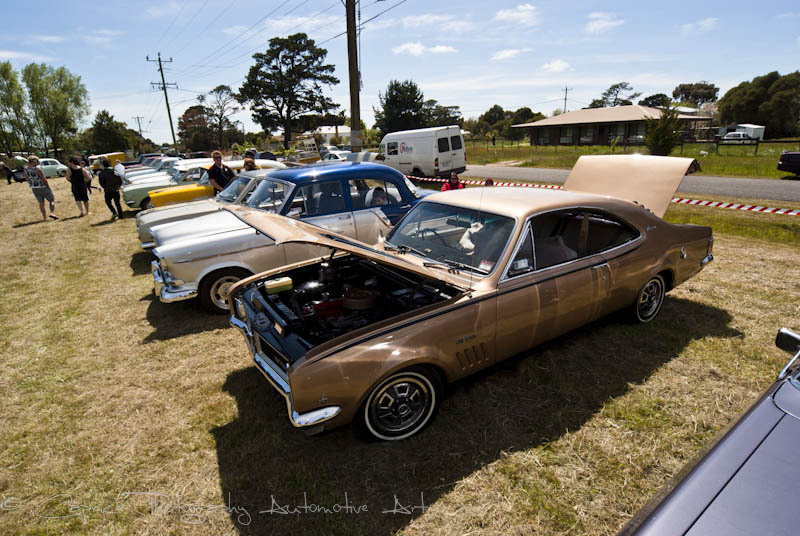 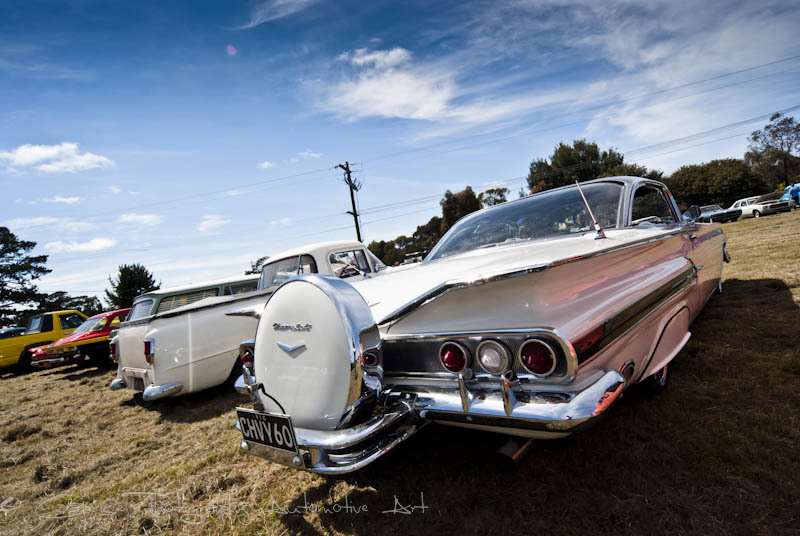 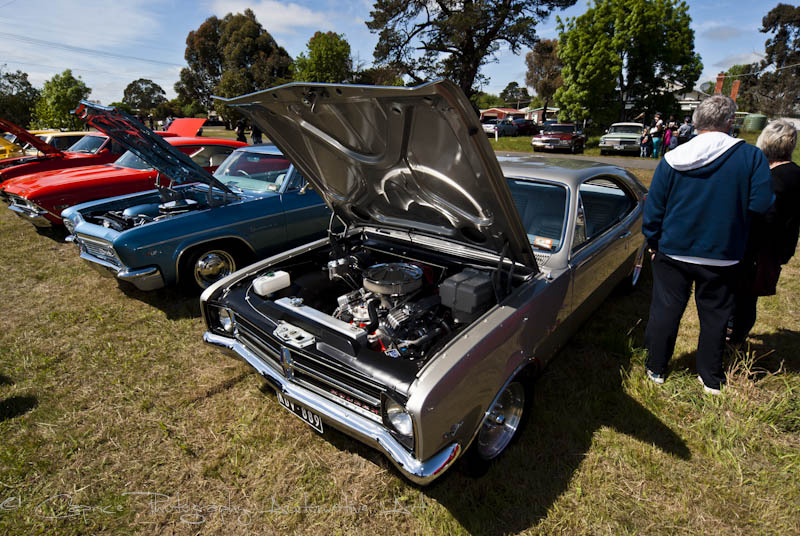 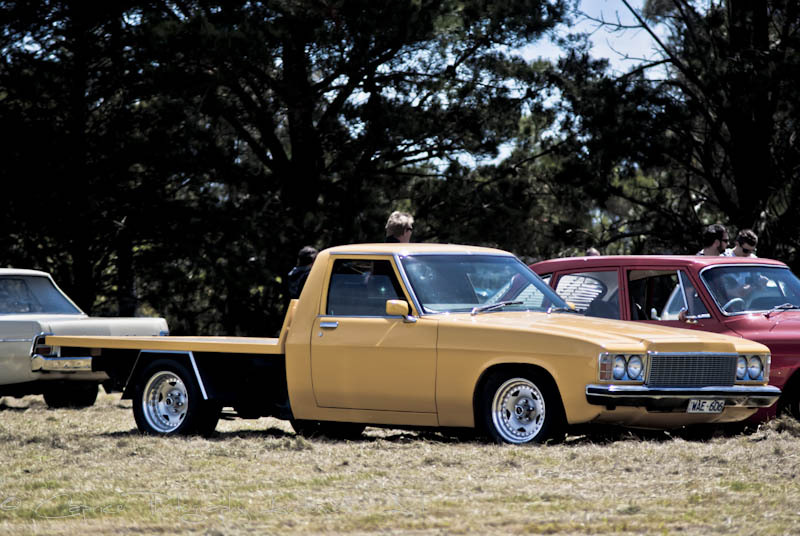 Well I’ll tell you, it’s situated on the Midland Highway, halfway between Geelong and Ballarat and was certainly put on the map today thanks to the first annual Old School Street Cars club Car show held, incidentally, at Meredith. 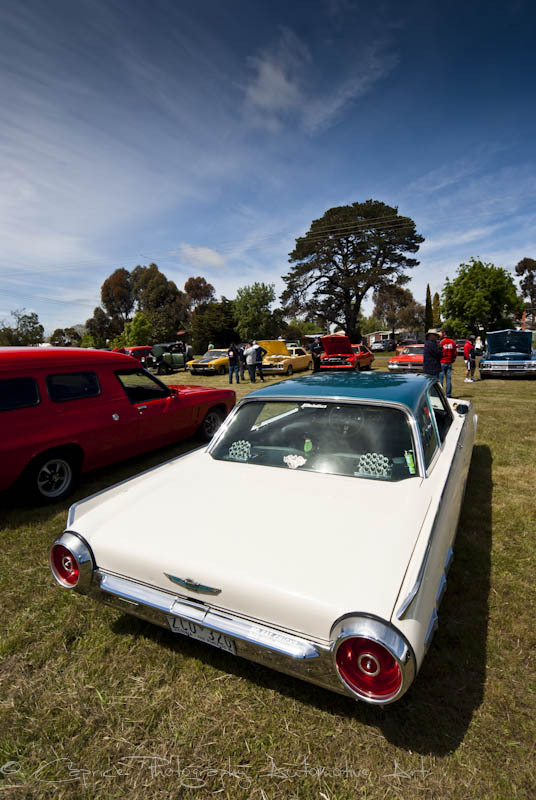 The guys and gals of the Old School Street Cars club, based in Geelong, turned on a great show for car punters and locals today. 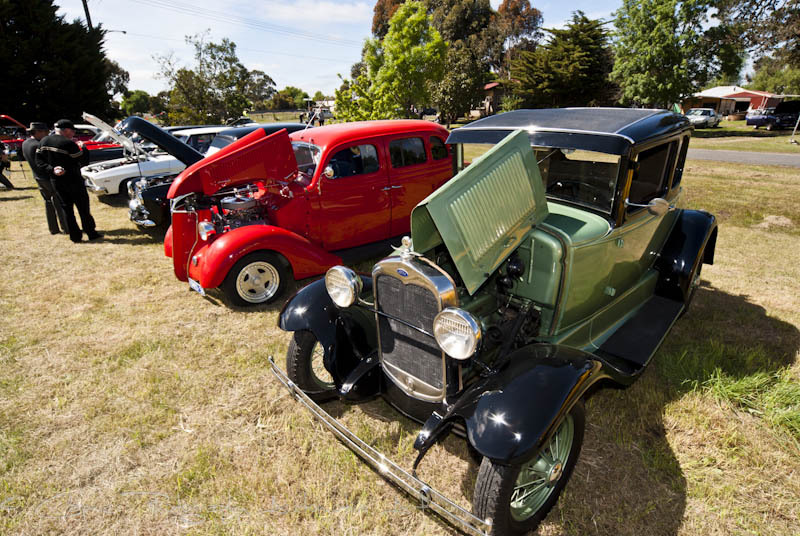 Helped along by a wide variety of vehicles ranging from a 1926 model T that looked like it just came off the production line, classic Aussie Holdens and Fords, stock and modified and a wide range of American iron, they came from everywhere as far as Bacchus Marsh and Colac to partake in this event. 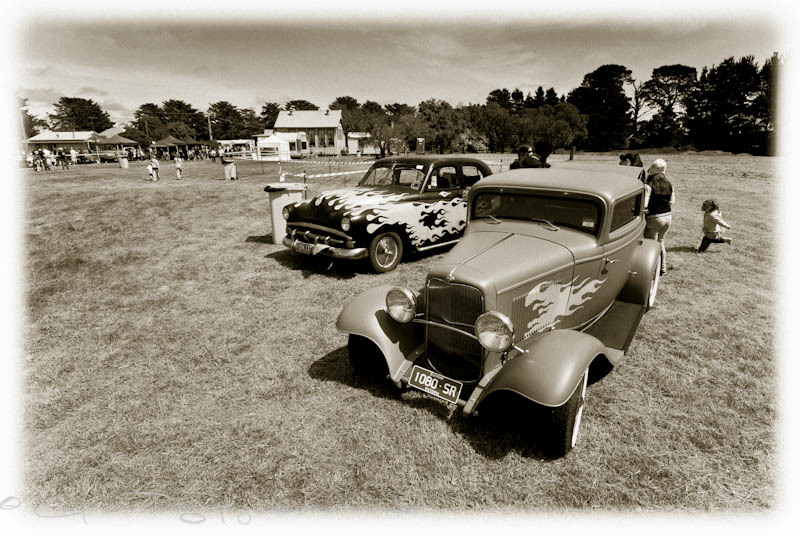 Not to be left out of this decadence of automotive exhibition, the Harley riders brought a decent collection of hogs along for the showing too, giving the locals a timely wake up call on their way through. 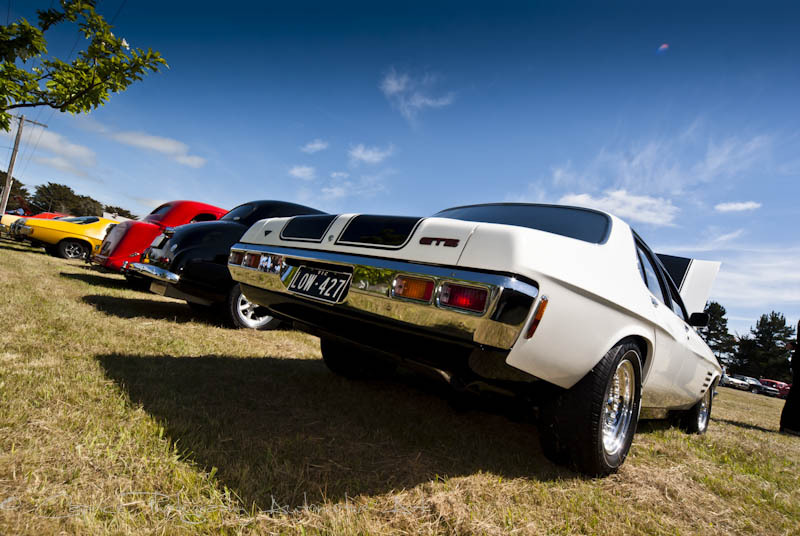 What a way to greet the day! 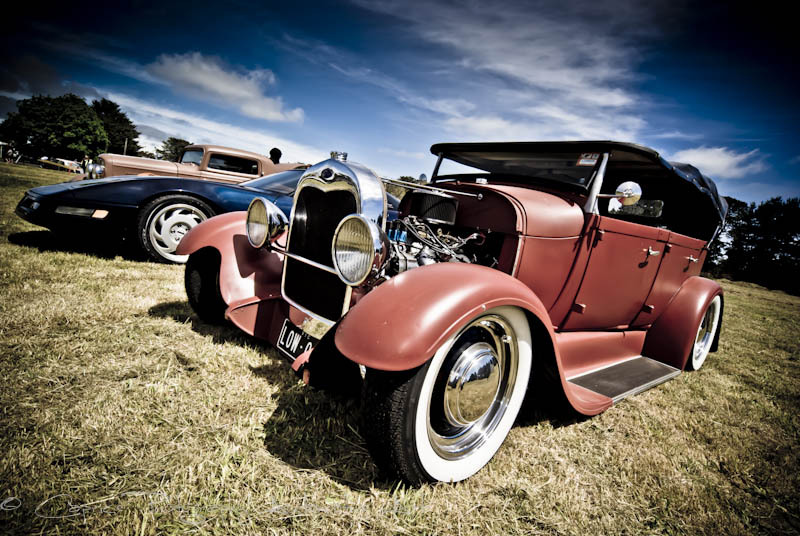 An early coffee was the best way to start the proceedings before the sun came out to bath all in its warmth. 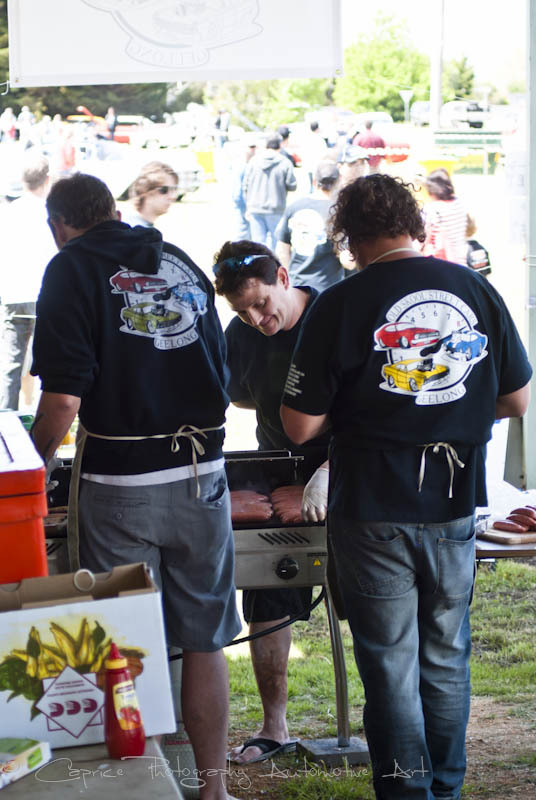 The dedicated cooks were kept busy throughout the day feeding all who attended with an appetizing sausage sizzle. 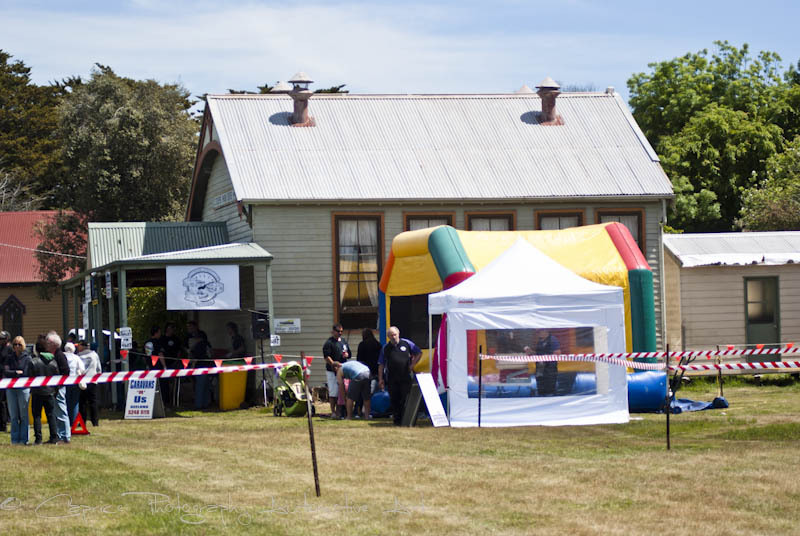 Kids could go nuts on the jumping castle or settle down for some face art with cool animated face painting. 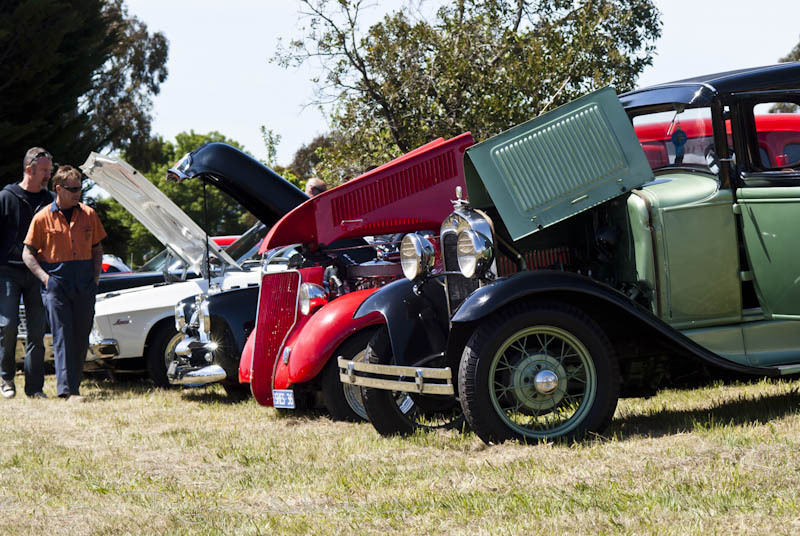 The vast grounds saw plenty of space for families and friends to set themselves up with a picnic arrangement. 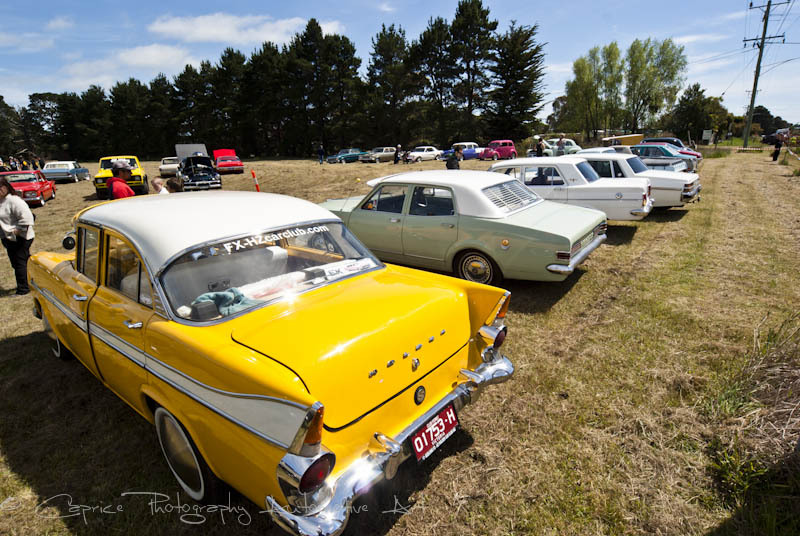 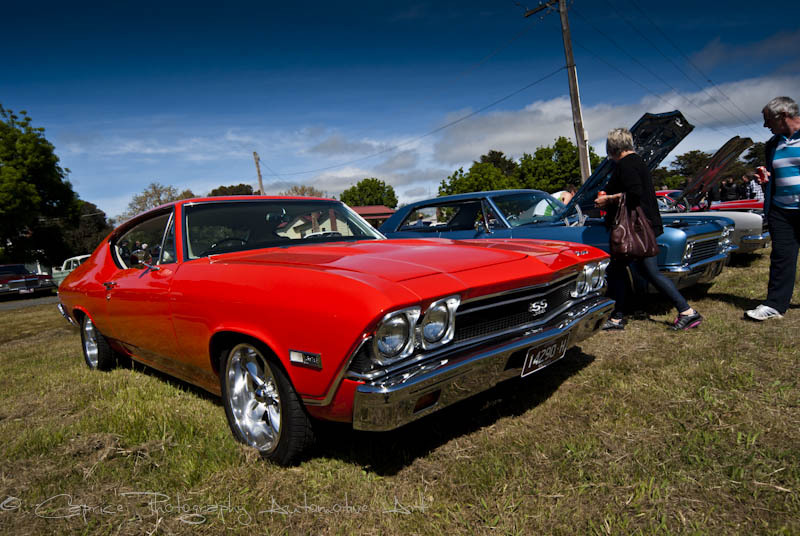 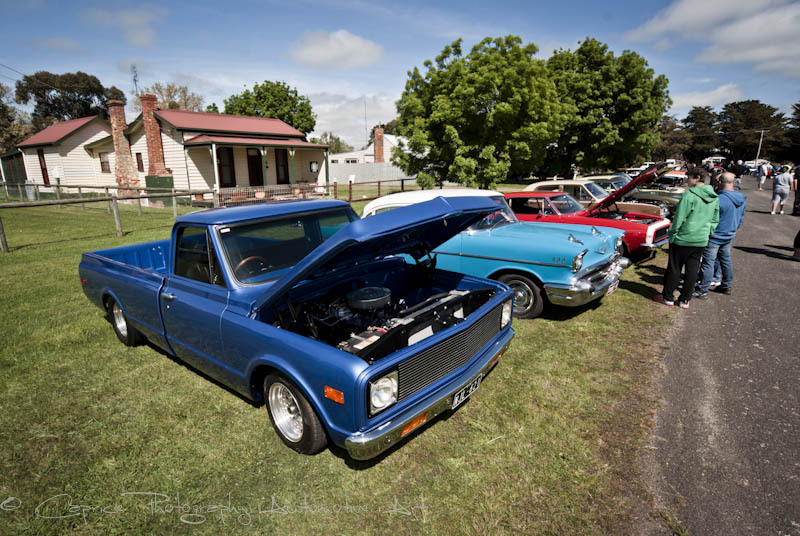 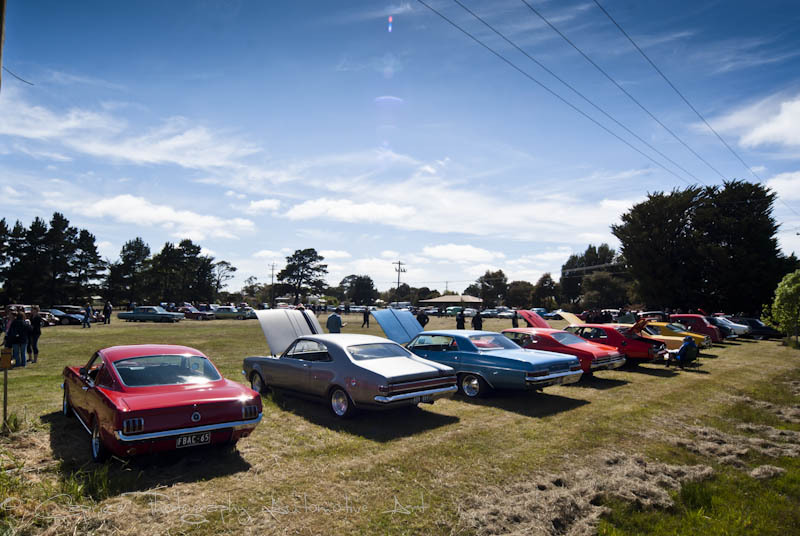 So if you’re after a cruise to a quiet country town, a picnic with the crew and a visual stimulation of automotive art, then check out this event next year and we’ll see you there. 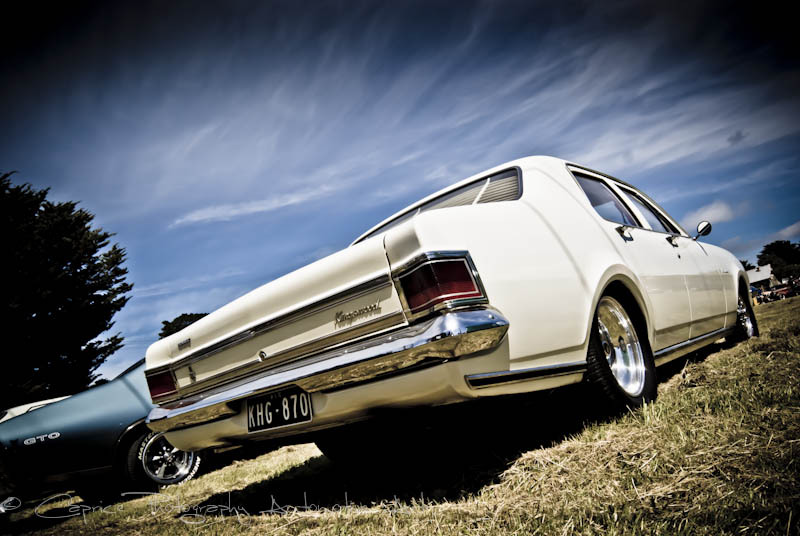 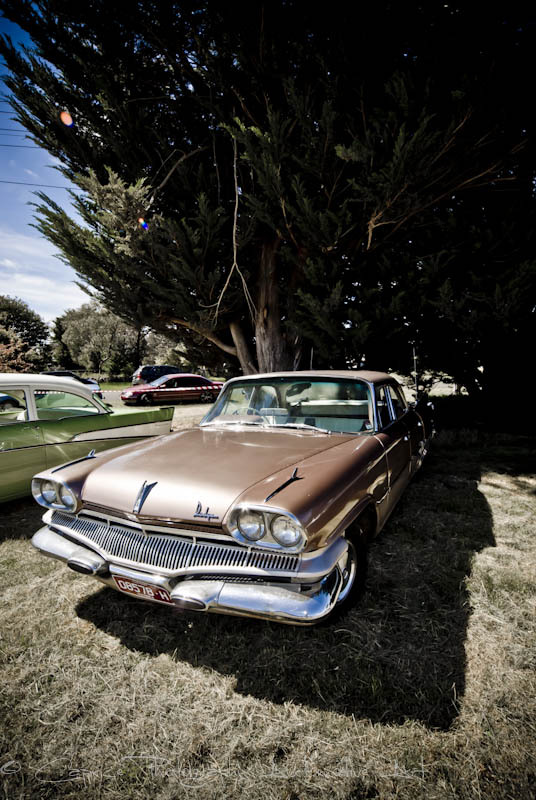 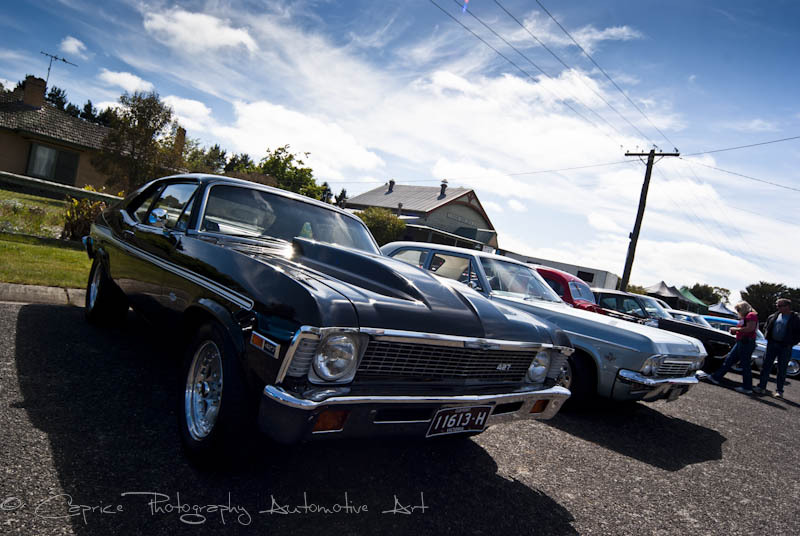 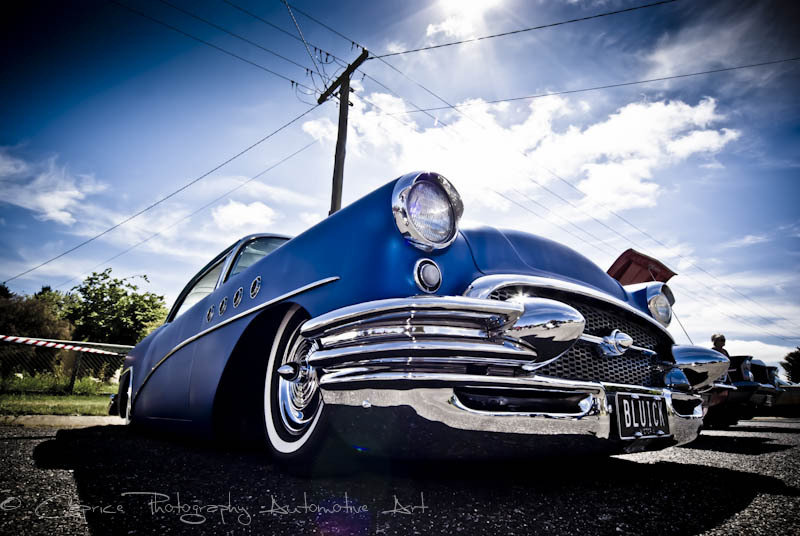 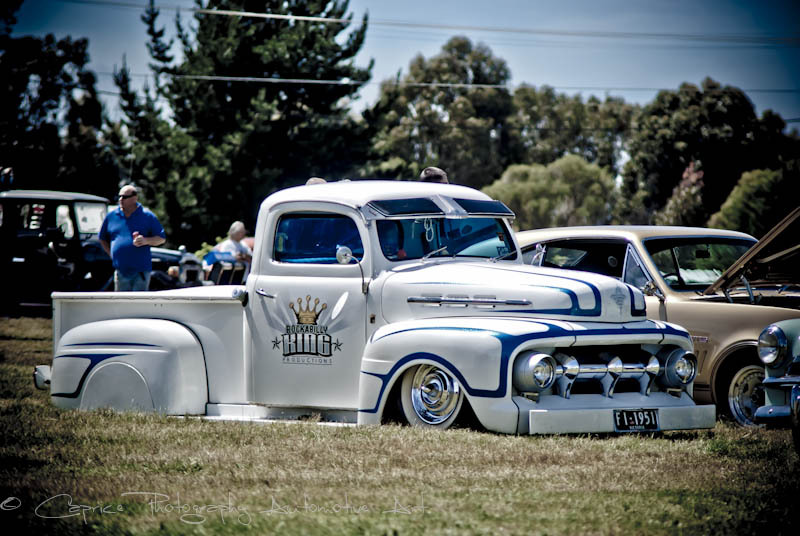 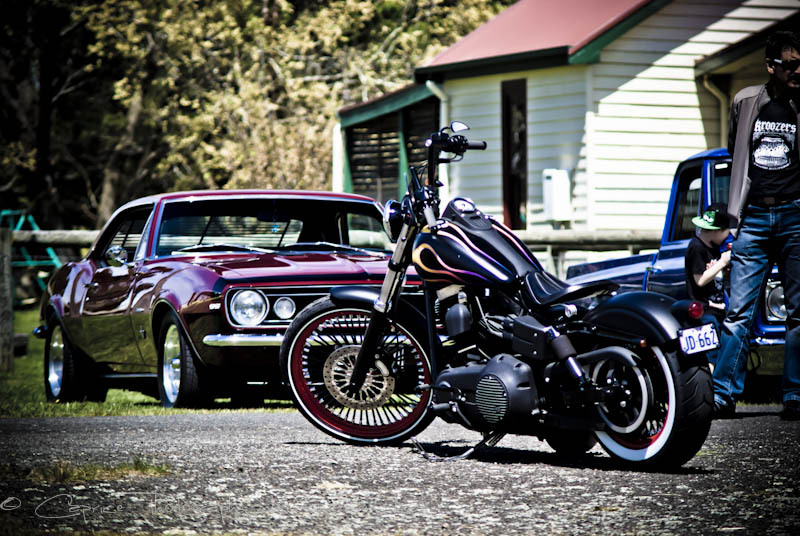 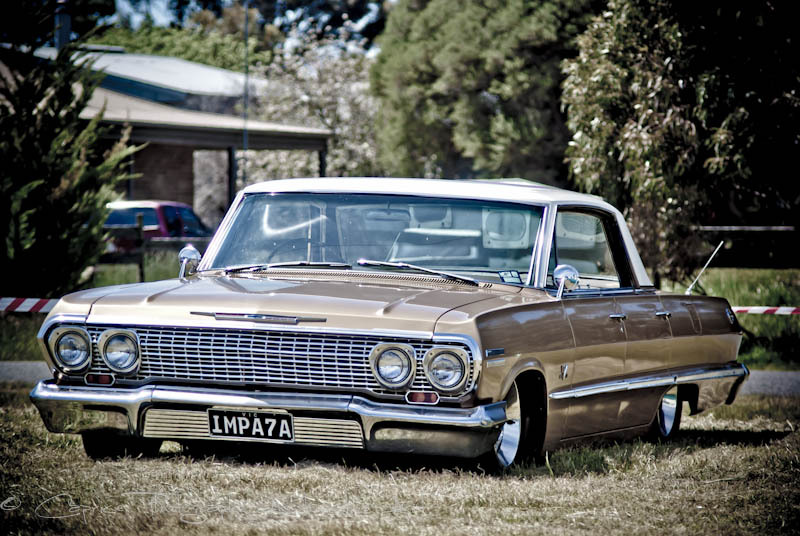 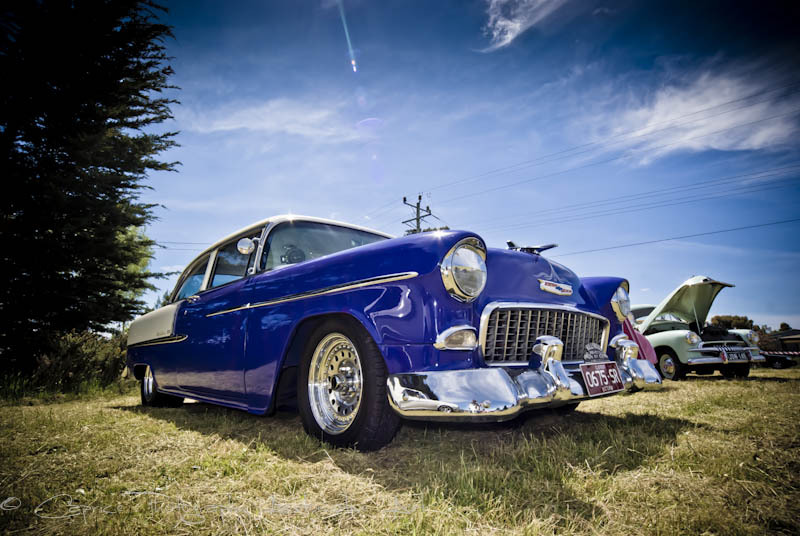 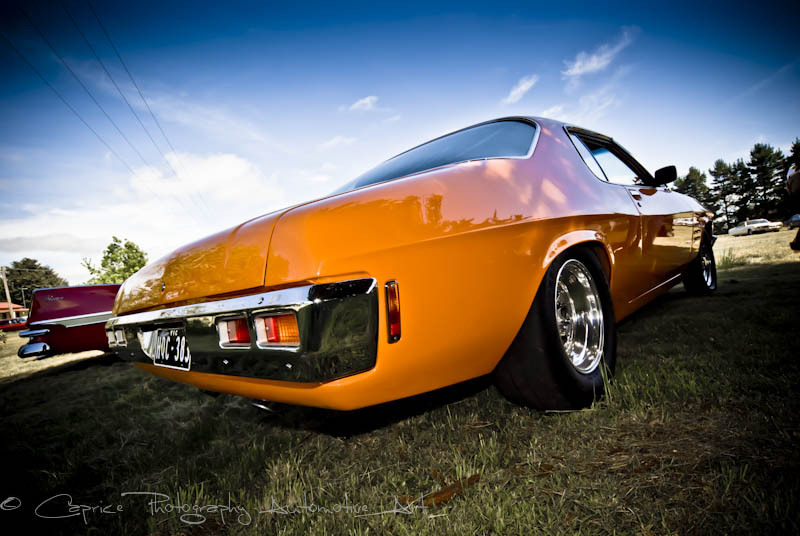 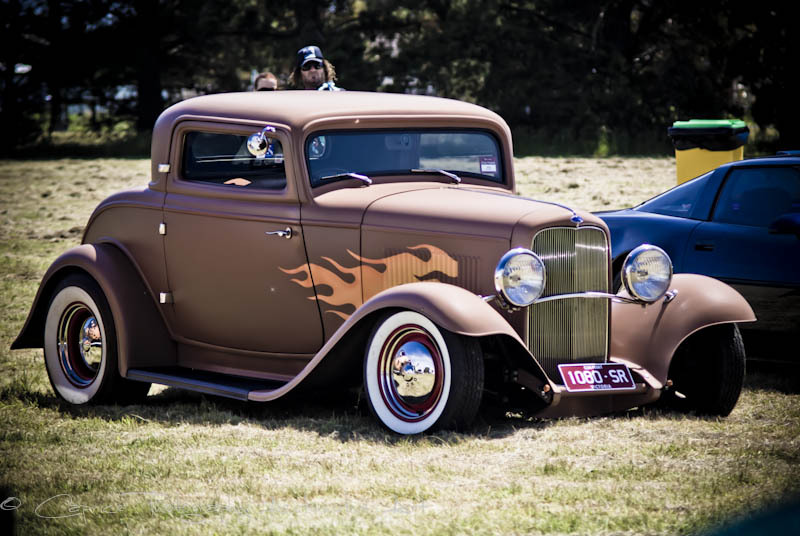 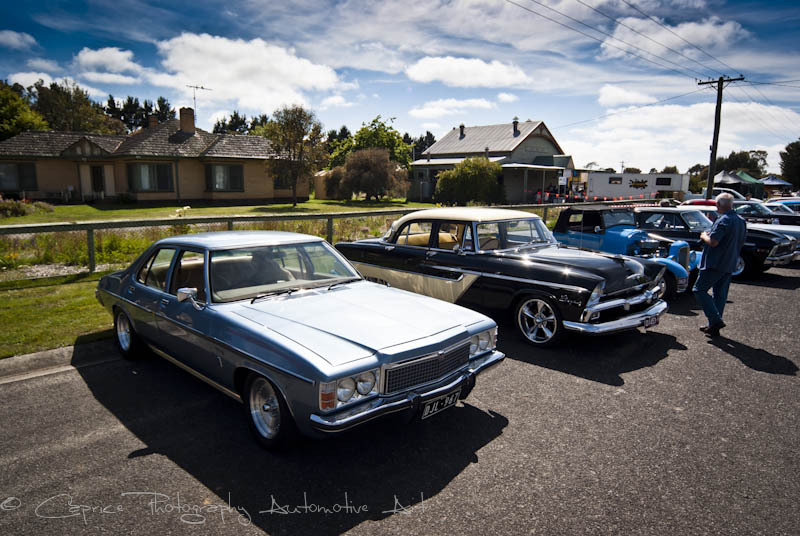 David Rochow OLD SKOOL STREET CARS GEELONG. 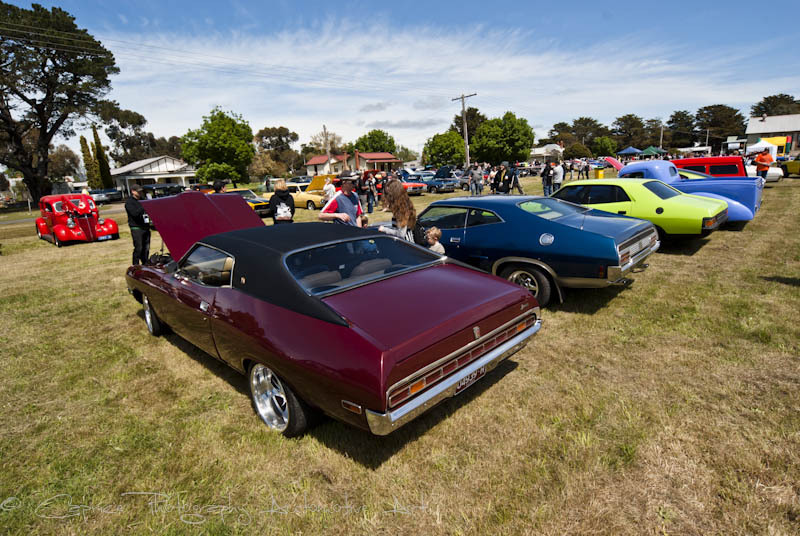 No worries Dave, it was a great event which will continue to grow. 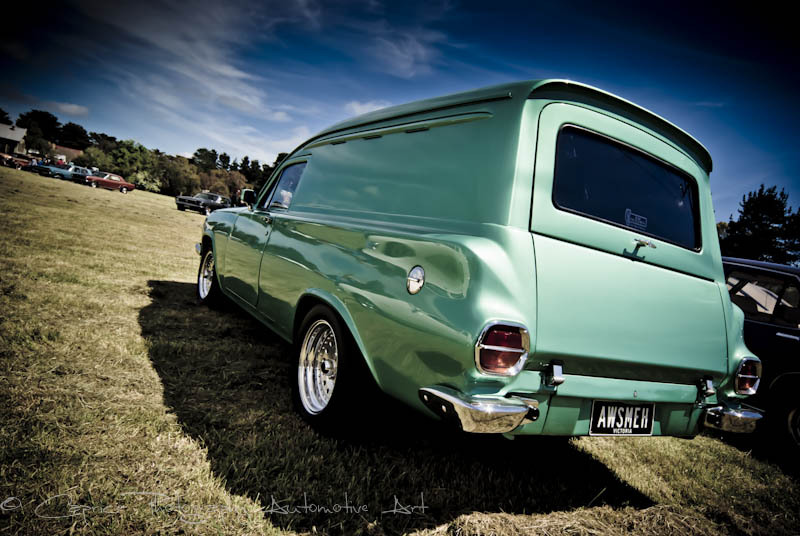 Thanks W-aido! 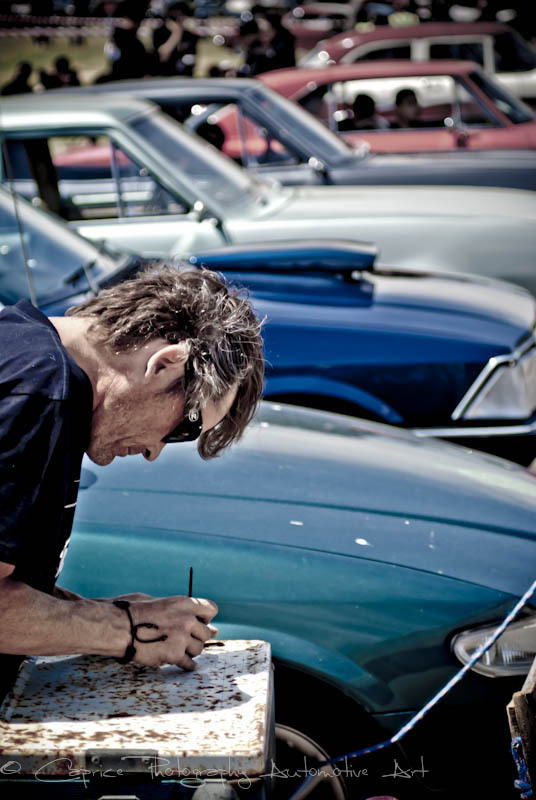 Glad I can be of assistance helping to pass the time during your working hours. 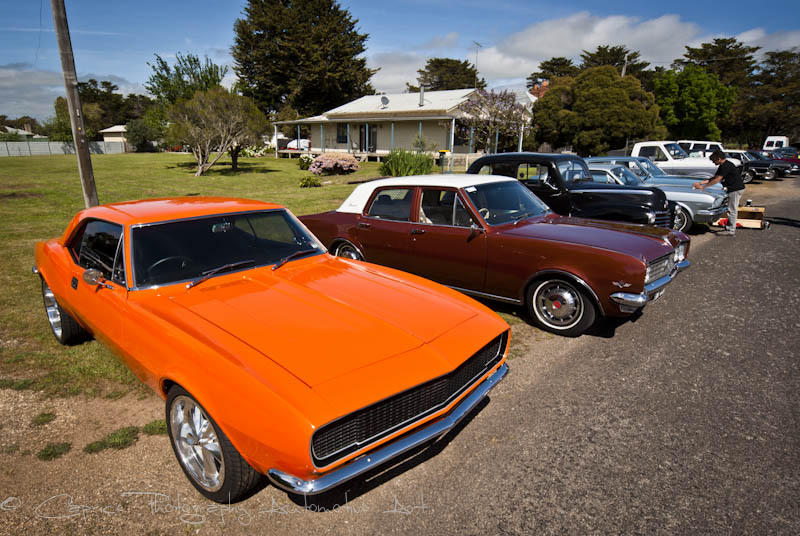 There’s plenty more to come!